How does your homeowners extend coverage to your daycare? Not all homeowners insurance companies will allow you to operate certain types of businesses in your home. The same is true when it comes to running a daycare in your home. The insurance companies that offer an in-home daycare endorsement have an allowable limit for the number of children you can watch in your daycare. 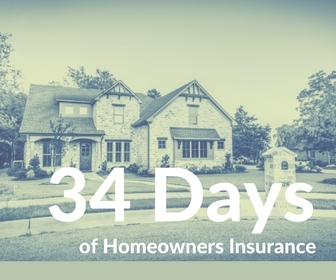 Generally 3-5 children, but it depends on your homeowners insurance company. That limit includes your own children. If you take a field trip, does your liability extend to the park or the zoo (or anywhere else you may go)? Does liability extend away from your home? A homeowners policy generally comes with $2,500 maximum for Business Personal Property in your home. Anything beyond this would not be covered. If your home is damaged or destroyed due to a covered loss, let’s say a tornado. You’re spending all of your time trying to put the pieces of your home back together. Don’t forget, you still have on going business expenses. Will your in-home daycare endorsement pay for ongoing business expenses? I hope this is never a concern for you, but it’s better to know if you have coverage now than later. If a child gets hurt it’s highly doubtful the in-home daycare endorsement on your homeowners policy will provide any coverage for accidental injuries to the children under your supervision. Your homeowners policy will not provide coverage if you or your employees get hurt on the job. Nor will the in-home childcare endorsement offer coverage. You would need a workers compensation policy. Side note: If your in-home daycare is growing enough that you need employees, chances are you’ve out grown the in-home daycare endorsement. These are some questions to be asking if you run a daycare in your home. The last thing you want is to find out you’re not covered or that your homeowners insurance company is canceling your policy because you’re running a daycare. Do you due diligence. Be informed. This is your business.